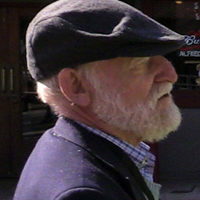 CHICAGO–More than 40 years ago, when Chicago Symphony Orchestra management forced its musicians to strike, the orchestra’s members spent their time alternating between walking picket lines and playing free concerts around town – including one, led by famed concertmaster/First Violinist Victor Aitay, inside a large church in Hyde Park. Now, forced to strike two weeks ago by management refusal to agree to a new contract that puts them on a par in pensions and pay with their peers among the world’s great symphony orchestras, the musicians are walking picket lines and playing free concerts all over again. After all, they want to show Chicagoans how out of tune CSO management is to its audience and its musicians, who comprise one of the world’s great orchestras. 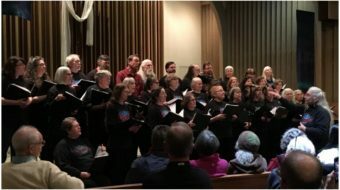 And notable politicians – including House Speaker Nancy Pelosi, D-Calif. — and union leaders are playing in harmony with the orchestra. 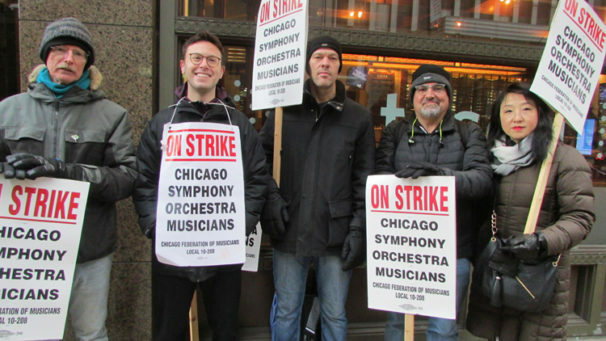 Symphony management forced the CSO musicians to strike in early March, with pensions and pay being key issues, American Federation of Musicians Local 10-208 said. 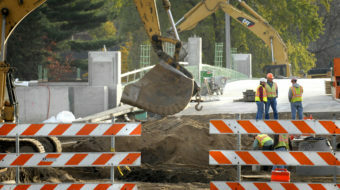 Traditionally, the CSO, one of the nation’s “Big Five” orchestras, has negotiated contracts that set the standard for others in the industry. The CSO musicians are trying to regain some of the “too many contract concessions” yielded over the last decade, when the orchestra, like others, faced financial trouble, news reports said. As a result, their pay and pensions now lag behind their peers at other four of the U.S. “Big Five” orchestras: The Boston Symphony, the New York Philharmonic, the Cleveland Orchestra, and the Philadelphia Orchestra. This is not the first strike in the last year by prominent Chicago musicians who perform for world-renowned companies. 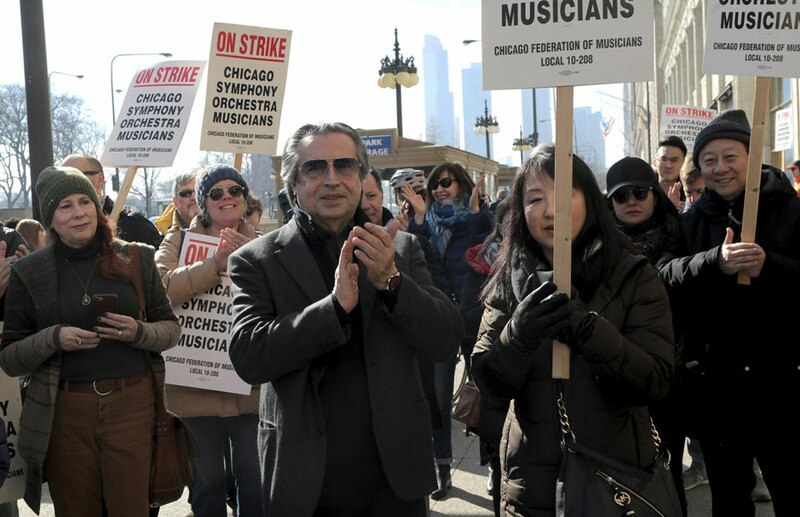 Last October, musicians of the Lyric Opera Orchestra, also Local 10-208 members, had to strike when management demanded a pay cut, a season cut and elimination of Lyric’s popular radio broadcasts – all while paying its CEO $18 million, at a non-profit. CSO management is taking a hard line against its players. The board chair, Helen Zell, declared the musicians’ demands “unreasonable and detrimental to a sustainable future.” Helen Zell is married to real estate magnate Sam Zell, a supporter of former right-wing GOP Gov. Bruce Rauner, who tried to destroy Illinois public worker unions. And Sam Zell is also known for rampant mismanagement that ran another Chicago institution, the Tribune, into bankruptcy. 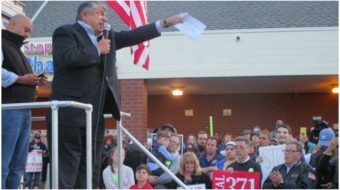 But if right-wing Republicans like the Zells are on management’s side – no surprise – then Chicago’s dominant Democrats, led by U.S. Reps. Jan Schakowsky, Jesus “Chuy” Garcia, Danny Davis and Robin Kelly, side with the players. They call the orchestra “one of the most important cultural institutions in the world” and are pressuring management to settle. So is Pelosi. “There’s nothing better than the gift they give to Chicagoans, and others throughout the world, and we need to give to them the dignity of security when they’re ready to retire,” said Davis. Meanwhile, the musicians will alternate between picket lines and free concerts. The first was a small chamber-symphony-size concert of 20 or so CSO musicians on March 22 at the PianoForte Studios on South Michigan Avenue, just blocks from Orchestra Hall, the symphony’s longtime home. That symphony size – if not the venue – is reminiscent of the striking musicians’ concert years ago in Hyde Park. And it says something about union solidarity that the CSO’s second free concert will feature the full symphony on March 25, playing at the Main Hall of the Chicago Teachers Union, AFT Local 1. Others are planned for future dates. On the picket line. Photo by John Bachtell for People’s World. Words by Riccardo Muti, music director and conductor of the CSO.